The underwater pinpoint metal detector SECON UWPP 10 is particularly suited for the detection and determination of the position of metal objects buried within the diver´s reach. Due to the pinpoint detection objects can be recovered without stirring up the sediment. This makes the recovery of detected objects easy. The SECON UWM 20 with its circular search head adds to the range of SECON underwater metal detectors a particularly cost-favourable, easy to use and precise PI detector. It is intended for use in the hobby sector and also in professional fields of application. 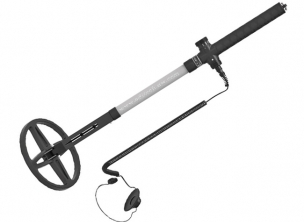 As a fully-fledged UW metal detector in industrial quality the SECON UWM 30 captivates with its good detection range and its compact, handy design. It detects all metals. 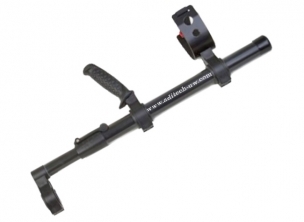 For determining the area of application: objects, small or large, which can be recovered with basic tools. The limit of the detection range depends on the size and location of the metal objects as well as on their composition and the local search conditions. The UWM 40 is designed to search for metal objects on land or underwater. It detects ferrous and non-ferrous metals and also alloys. It indicates the size and conductivity characteristics of the detected objects: large and highly conductive objects will be indicated by a tremolo signal added to the audio alarm. This permits the diver to determine while searching whether a signal is from a larger object worth recovering or from. The UWEX® 722C is a highly sensitive metal search instrument for underwater and normal land use. According to the detection job it can be operated in the short or in long version. It is pressure tested up to 60 m. The operation in saltwater will not cause interference to the function of the device! 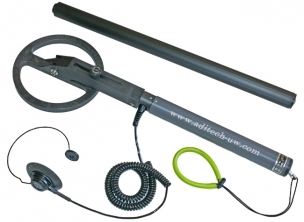 Even in its basic version the UWEX® 725D (combination version) is an extremely powerful and efficient underwater metal detector. A comprehensive range of accessories enables it to be enhanced in accordance with individual requirements. The large ring-type head and its detection system permit detection parameters to be achieved that are significantly superior to those from conventional detectors.